No matter how many wine cork crafts that I do, I never seem to run out of available wine corks to use! I’m pretty sure I’m not the only one that has emptied a bottle or two and saved the corks for some sort of decorative purpose! So, if you are running out of ideas on how to use all of these corks, I have found some more unique ideas for you to try. Before I show you these ideas, though, I wanted to remind you about my craft challenges. I am always looking for new and creative uses for recycled materials and all of my craft challenges deal with a different type of throw away material. One of these challenges is for wine corks. If you have come up with a fun idea for using wine corks and want to be featured, just email me your details. You can find all of the information for this at the link above! 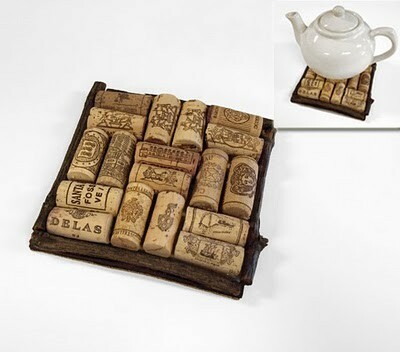 Okay, now let me show you the wine cork crafts and decor ideas that I have found! Wine corks make a great trivet when set in a square frame! I love the fact that Canadian Living made this frame trimmed with small branches. 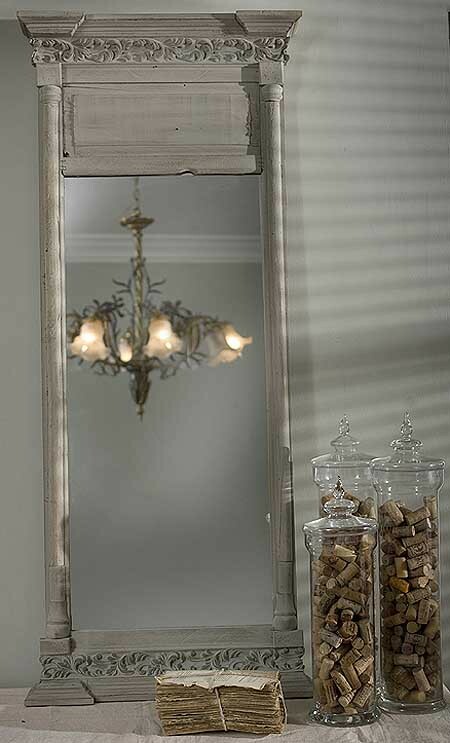 Its rustic and recycled – a perfect pair! 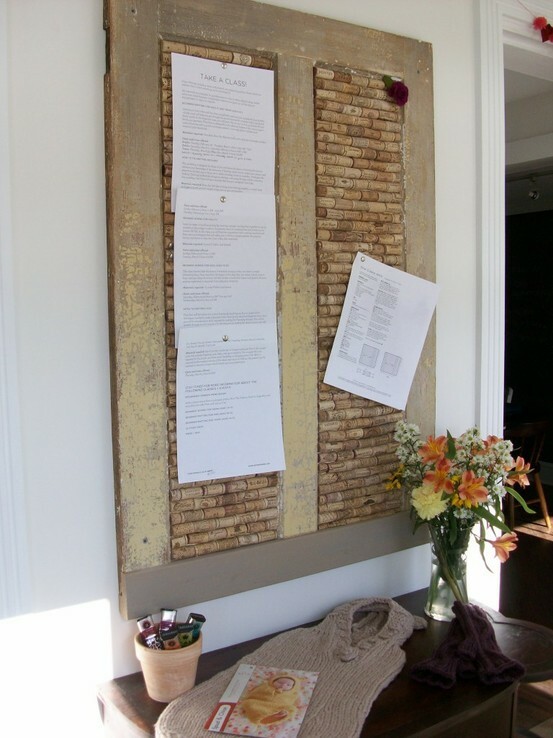 Bulletin boards are made our of cork so it makes perfect sense to make a home made one out of wine corks! Be Home Made goes one step further and uses an old door as the frame for this cork board! I am loving the rustic styling of this and am now on the search for some old doors myself! Sometimes all you need to do is display your corks in a fun way for lots of impact. I love how Morning T uses them as a filler in this rustic tray of candles. 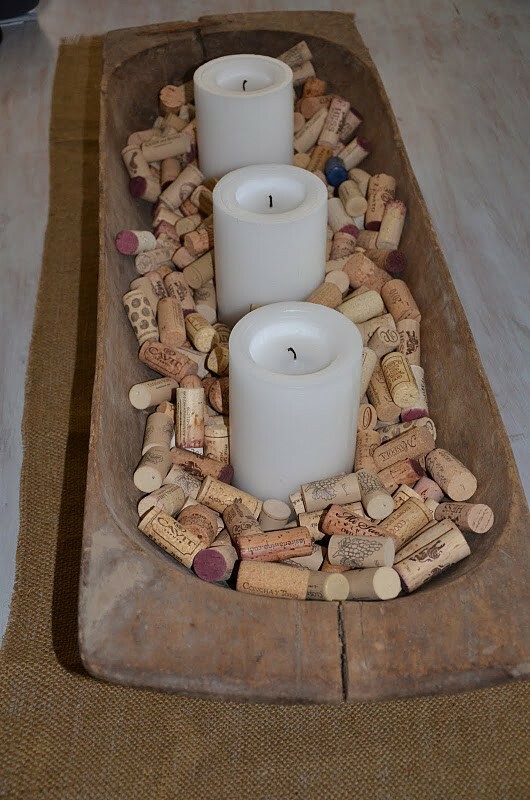 Here is another beautiful example of simply displaying your wine corks in a decorative way. The natural look of the corks in the clear and elegant glass is a great example of shabby chic, especially when paired with the bundle of old papers! This last wine cork craft is a double whammy! It is recycling two things at once. 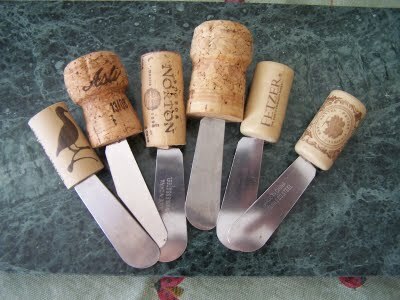 Not only is Yarni Gras recycling wine corks but also some old canape knives at the same time. I love this idea! Have you been inspired? Do you have some ideas of your own that you would like to share? Let me know your thoughts!